His statements about Trump show that after Abdur Raheem Rafeeq gets out of prison, he has a bright future ahead of him as a Democratic Congressman. The new indictment supersedes the previous one from January that charged Demetrius Nathaniel Pitts, 49, with attempting to provide material support to al-Qaida…. 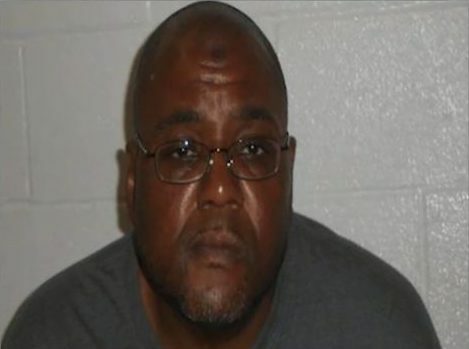 Pitts is a U.S. citizen who uses the aliases Abdur Raheem Rafeeq and Salah ad-Deen Osama Waleed. Authorities said they learned about Pitts in January 2017 following comments he posted on photographs of a possible jihad training camp, according to court documents…. EDITORS NOTE: This Jihad Watch column with images is republished with permission. The featured image is from President Trump’s Facebook page. The reporter was from CNN, so she was probably astounded that he wasn’t behaving as her adoring sycophant. Omar was forced to apologize Monday by Democratic leadership for using anti-Semitic tropes after tweeting that politicians who support Israel are paid off by AIPAC, the pro-Israel lobbying firm. Omar’s apology included another knock on AIPAC for having too much influence in politics. President Donald Trump called her apology “lame” and said she should resign or at least be taken off the House Foreign Affairs Committee. A physician at the now-defunct New England Pain Management Associates Inc. was sentenced today in federal court in Boston for conspiring to falsify patient medical records in order to obtain payments from Medicare and commercial insurers for medical services that were not performed. Moustafa Moataz Ibrahim Aboshady, 36, of Lake Forest, Calif., was sentenced by U.S. District Court Judge Nathaniel M. Gorton to 75 months in prison, three years of supervised release and ordered to pay restitution in the amount of $1,852,459. In September 2018, a federal jury convicted Aboshady of one count of conspiracy to make false statements in connection with health care benefit programs and two counts of making false statements in connection with health care benefit programs. In March 2018, co-conspirator Dr. Fathalla Mashali was sentenced to eight years in prison after pleading guilty to 27 counts of health care fraud, one count of conspiracy to commit mail fraud and 16 counts of money laundering. “Mr. 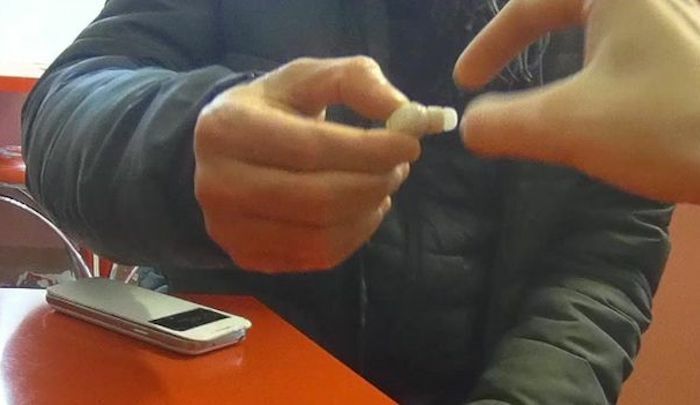 Aboshady helped Dr. Mashali operate one of the most dangerous pain management practices in Massachusetts,” said United States Attorney Andrew E. Lelling. “Dr. Mashali routinely dispensed large quantities of powerful narcotics to addicted patients. “Dr. Aboshady engaged in unlawful, unethical, and unprofessional conduct. He used the Medicare system as his own personal ATM, cheating taxpayers and private insurance companies out of thousands of dollars by billing them for medical services that were never performed. The FBI is committed to protecting government and private health care programs and stopping those who steal from them,” said Joseph R. Bonavolonta, Special Agent in Charge of the FBI Boston Division. Aboshady conspired with Mashali, other members of NEPA (New England Pain Management Associates), and members of a satellite office in Cairo, Egypt, to falsify medical records and urine drug test results to support claims for payment to Medicare and insurers for services that Mashali did not render. Continue here for more of the gory details of the fraud this pair was perpetrating on US taxpayers, and for the harm they were bringing to their drug addicted patients. The photo (above) is from a very cool website I just discovered called The Bad Doctor Database, see it here. Dr. Mashali appeared for his trial in that ‘get-up’ in the photo on the right. My first thought was that it was a ploy to gain sympathy of the court. Although not charged for any deaths, when you read about Mashali you learn that eight of his patients died of opioid over doses. What are you going to do? Check out your doctors very carefully especially if they are of the ‘new American’ variety! And, keep a watchful eye on loved ones who you suspect of being over-medicated and risk addiction! Knocking off infidels while getting rich is a pretty sweet deal for creeps like these. EDITORS NOTE: This Jihad Watch column with images is republished with permission. The featured photo is by Alec Favale on Unsplash. Mateen Khan also explains how the “clever” Jews fooled the Europeans into thinking they were “one of them.” Does Mateen Khan believe in violent jihad, and that non-Muslims should be subjugated under Islamic law as dhimmis, and that Sharia should ultimately replace the U.S. Constitution? What do you think? 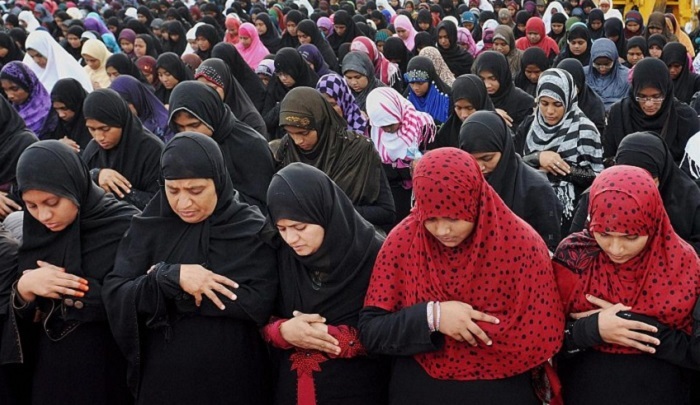 New Jersey-based Imam Mateen Khan said during a lecture at the Muslim Center of Middlesex County, NJ, (MCMC) that liberalism is a philosophy that requires everybody to adopt it, and that holds that those who don’t accept liberalism are a threat. Giving the example of Afghanistan, which he said the U.S. invaded under the pretext of empowering Afghani women, Khan said that those who don’t accept liberalism are forced to accept it with the pretext of women’s rights, LGBT rights, and combating intolerance. He said that liberals want Muslims to allow them to exercise their freedom of speech to insult the Prophet Muhammad. Later in the lecture, Khan said that the Jews in Europe had been hated and used as a scapegoat because Europeans were antisemitic. He then claimed that some Israeli psychologists had written that the Zionists had successfully convinced the Europeans to hate the Arabs and Palestinians – who he explained are also Semitic – instead of the Jews, by telling them that the Palestinians are the backwards, monotheistic Semites who should really be hated. The lecture was uploaded to MCMC’s YouTube channel on December 30, 2018. Imam Mateen Khan: When we talk about liberalism we are talking about a political and moral philosophy. The people who are its proponents say it is built on liberty and equality. So what liberals say… They espouse a wide variety of views, depending on their understanding of principles. Like I said, it is a philosophy. It is a world view, it is how you think. So generally, they support the concept of civil rights, democracy, secularism, gender equality, racial equality, internationalism, freedom of speech, freedom of religion, freedom of the press… Now I know most of us are listening to these words and thinking: “What’s wrong with that?” We will get there. For those of us old enough to remember when the U.S. invaded Afghanistan: Why did they invade Afghanistan? What was the reason? For a fee of up to £2,000, criminals secretly listen in and, via a hidden earpiece, give the answers to those taking the Life in the UK test. Such an operation was secretly filmed by a BBC journalist, who was given help to pass. The test is failed by about one in five would-be British citizens. The Home Office said it took any cheating “extremely seriously”. A pass in the test, which assesses candidates’ knowledge of UK laws, history and society, is usually required as part of the process to secure UK citizenship or indefinite leave to remain. The number of applications for citizenship made by EU nationals rose by 32% last year and the BBC heard some were paying criminals to cheat the Life in the UK test, as anxiety grows over citizenship rights post-Brexit. One woman told the BBC she decided to cheat after failing first time around, saying she “felt so much panic” about her situation…. The test, which is taken on a computer and has a pass mark of at least 18 correct answers, is supposed to be held under strict exam conditions…. BBC researchers were able to access organised cheating when they went undercover at training academies in and around London, where candidates take classes to prepare for the test. Masoud Abul Raza runs the Ideal Learning Academy in east London. He was filmed telling an undercover researcher that he could guarantee a pass. “You have to spend nearly £2,000. This is the business, it’s completely hidden. But you are getting a result,” he said. Mr Abul Raza and his gang later provided the undercover researcher with a hidden two-way earpiece, linked wirelessly through a Bluetooth connection to a concealed mobile phone with an open line. This meant the gang outside could hear the audio feed of the test questions and provide the answers. “Everything will be arranged. He will give you the answer,” Mr Abul Raza told the undercover journalist. Tony Smith, the former director general of the UK Border Force, was shown the secretly recorded footage and described it as “clear and blatant cheating by an organised crime gang”…. The BBC heard reports of other training academies doing the same thing, with the same method of cheating having been used at testing centres around the UK. At the English Language Training Academy (ELTA) in east London, Ashraf Rahman told the BBC’s undercover researcher that he had arranged cheating in Birmingham and Manchester, as well as London. “I’ve been here for five years and no-one gets caught,” he said. Mr Rahman later denied he arranged cheating, claiming he was just discussing what others did…. Abdullah Ali Yusef, formerly known as Damon Joseph, likely thought that authorities “wouldn’t even expect” his jihad attack on a synagogue because all their attention regarding antisemitism is focused on “right-wing extremists” and neo-Nazis. Islamic antisemitism goes unnoticed not only among law enforcement officials, but largely in Jewish communities as well. Yet it continues to proliferate in the U.S. and Western Europe. Good thing authorities in Northwest Ohio got lucky this time. 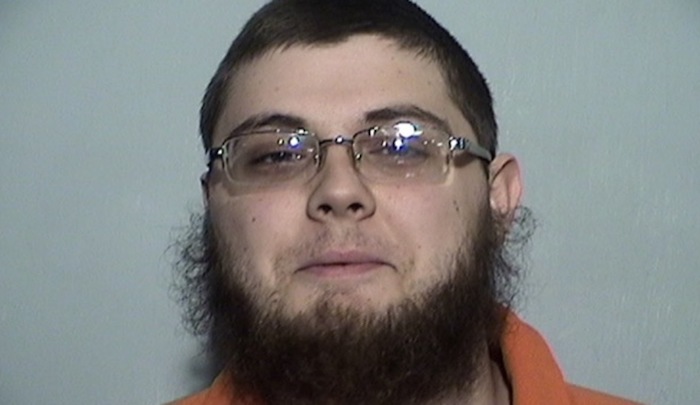 CLEVELAND, Ohio — A Toledo-area man was indicted on federal charges Tuesday, following his arrest in December for what federal authorities said was a plan to carry out a mass shooting at a synagogue in the name of the Islamic State. Damon Joseph, 21, of Holland is charged with attempting to provide material support to ISIS, attempting to commit a hate crime and possessing firearms in furtherance of a crime a violence. The FBI arrested him Dec. 7 after he grabbed a duffel bag with two disabled semi-automatic rifles from the car of an undercover agent. Following his arrest, he detailed his plans for the attack and “his intent to cause mass casualties in support of ISIS,” according to an affidavit written in December by FBI agent J. Troy Amundson. Authorities have not named the synagogue Joseph targeted…. The FBI said Joseph was radicalized and went by the name Abdullah Ali Yusef. He shared photographs of guns and knives on social media, as well a pictures originally distributed by ISIS’s media arm, according to the affidavit. He also produced his own videos, authorities say. The FBI became aware of his social media postings in May, and an undercover agent started talking with him in September, court filings show. In October, following a mass shooting in Pittsburgh in which a gunman killed 11 people at the Tree of Life Synagogue, Joseph told the agent that “my opinion is the Jews are evil and they get what’s coming to them,” according to the affidavit. “I don’t feel bad at all considering what they’re doing in Palestine,” Joseph continued, according to the affidavit. He said he admired the shooter and said he could see himself carrying out a similar attack, because authorities in Northwest Ohio “wouldn’t even expect it,” the affidavit said. Joseph said over the next month that he wanted to commit an attack. He said he planned to escape after the attack, not die in martyrdom. He narrowed the target of his attack down to two area synagogues and said he would choose based on the number of people, the time and day, the affidavit said. “Go big or go home,” Joseph said, according to the affidavit. 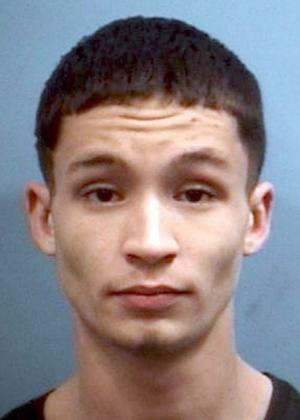 Joseph continued to research the attack until his arrest on Dec. 7, according to the affidavit. He wrote down the name and address of the synagogue he planned to attack for an undercover agent and detailed how he wanted the attack to go down, officials said…. So you see, all we have to do is accept the poor dears, and jihad violence will disappear. 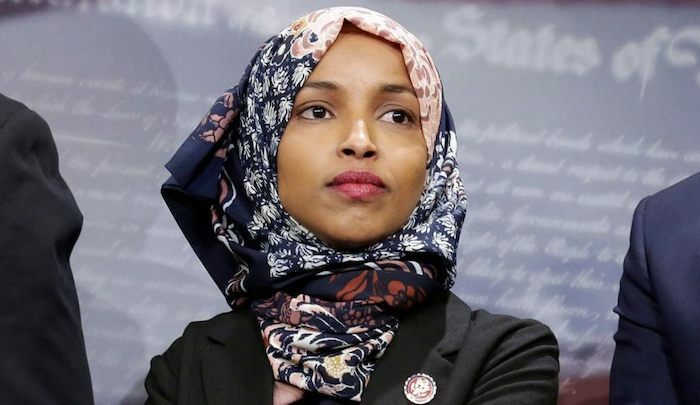 This is a foolproof jihad-enabling argument, because when non-Muslims advocate for tough measures against jihadis, Rep. Omar can say that those measures will just “radicalize” more Muslims, and that the better way is simply to do nothing. This will, of course, allow jihad activity to continue unimpeded, since it doesn’t actually stem from “alienation,” but from imperatives within Islamic texts and teachings. 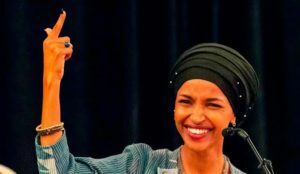 Rep. Ilhan Omar (D-Minn.) called for a more lenient sentence for nine Somalian men in Minnesota who were convicted of attempting to join ISIS in November 2016. Omar added that such violent fanaticism stems from “systematic alienation” resulting from being barred from the instruments needed to induce change. EDITORS NOTE: This Jihad Watch column with images is republished with permission. 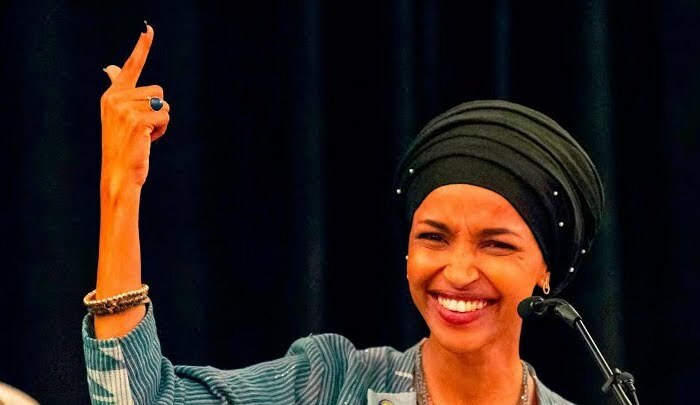 The featured image of Ilhan Omar is from her Facebook page.